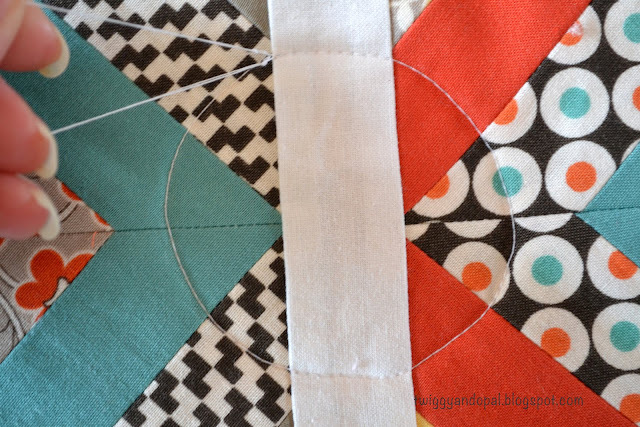 I'm finally getting to the Concentric Circle quilting tutorial! Funny how life and some warm sunny days get in the way!! I don't know that my version is any better or any different than other tutorials. 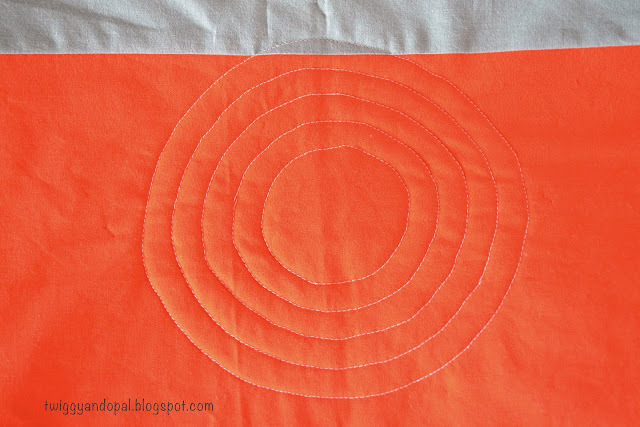 The main thing to remember about concentric circle quilting is to take it slow. Slow and steady wins the race...at least in the beginning. Here are a few examples concentric circle quilting I have done. With all these examples, I wanted the circles to all be the same width. In these cases, they are all 1/2" lines. You can certainly make them wider or different widths throughout. 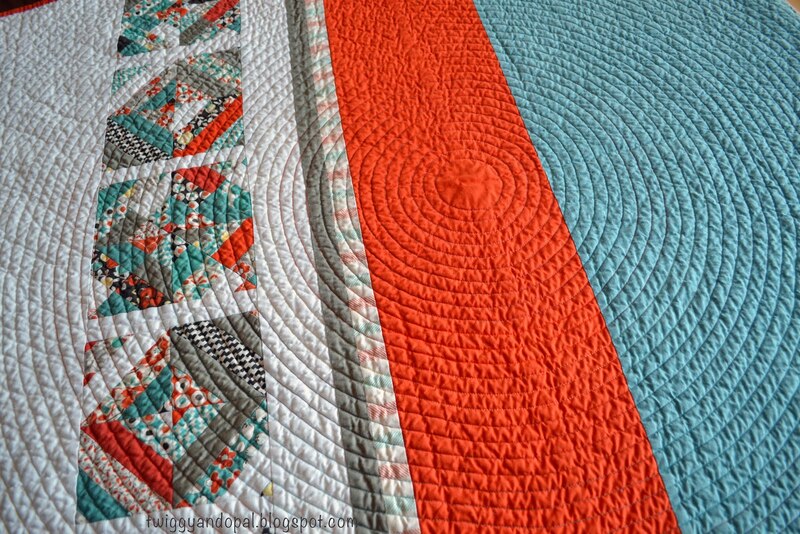 'Josephine's Quilt' was my most recent concentric circle quilting project. 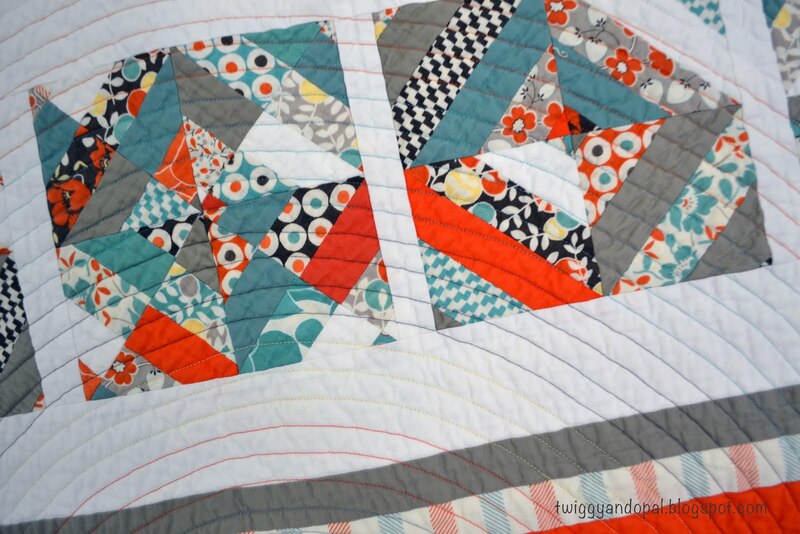 And I'll be honest here, it was the only time I had issues with the quilt shifting. I'm a pin baster and I think my problem was I didn't use enough pins. Full disclosure! I have never had problems before, so I'm going to chalk this one up to users error! This hand dyed baby quilt is another example of concentric circles. (Bye Bye Hand Dyed) These three examples are also on baby size quilts. I've never tried it on anything larger than that. Not that it can't be done! 'Baby Gears' was my very first attempt at concentric circles. It was scary at first, but everything went smoothly. On this one, I started my circles in a random off center point. Another great option for this method. Start by picking your starting point. Do you want the circles dead center? Off center? If you want them centered find your center point. You can do this my measuring the quilt and dividing width & length my two, or if your quilt is made up of blocks you can easily pick the center by the grid of the blocks. I use whatever kitchen item I can as a tool, in this case I used a glass that is about 2 1/2" across. It's a pretty tight circle. You can decide what size you are comfortable with. I would suggest starting with a larger circle for your first time. As you become more comfortable with the quilting, you can always go back and add circles to the inside. To mark the circle, I use my hera marker. Yes, I'm still freaked out about using any kind of pen or marker on quilts! The hera marker gives me just enough definition to follow along with my walking foot and its the only time I mark my circles. For the first circle, I go at a snails pace. I take it slow especially if the circle is small. 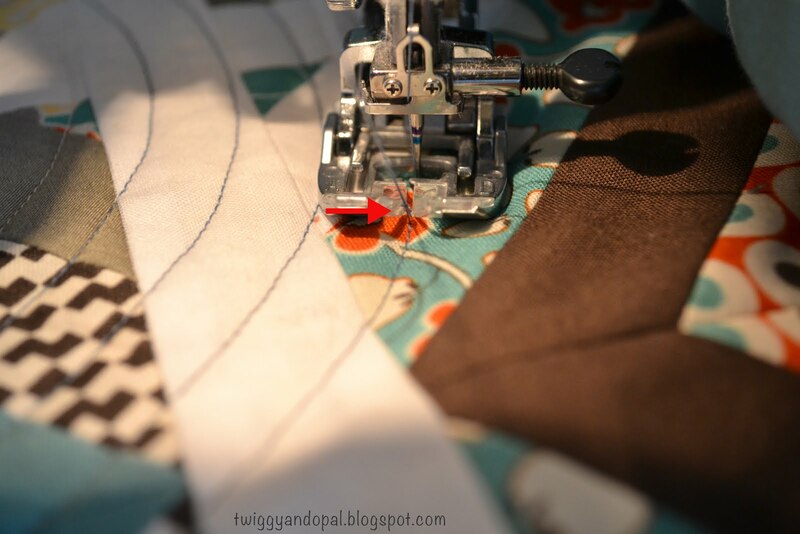 If you reduce your stitch length it helps with control of the curves and allows a bit more accuracy. I bury my threads, meaning I pull the bobbin thread up to the top and tie a knot near the fabric. Later I will take my needle and pull the knot through the thread hole between the fabric and the batting. Here's a couple tutorials on how to bury threads: Pile O' Fabric Video, and Crazy Mom Quilts. Once I make it around the circle I'll pull the starting threads up and between my foot. It's almost like a runway...it guides me in and makes it much easier to line up both ends of the circle. I have decided on the width of my circles by the edge of my foot (dual feed/walking foot). It's nearly 1/2" and works perfectly for what I'm after. I line the edge of my foot next to the previous stitches and follow around. 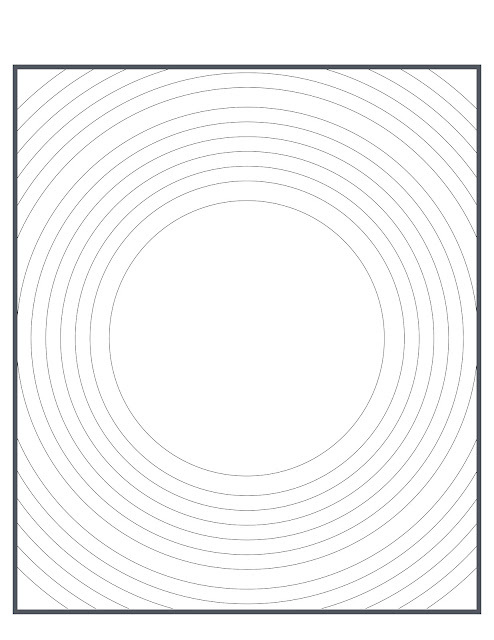 There are options for different width of circles. You can move the needle position to the left or right for different widths. 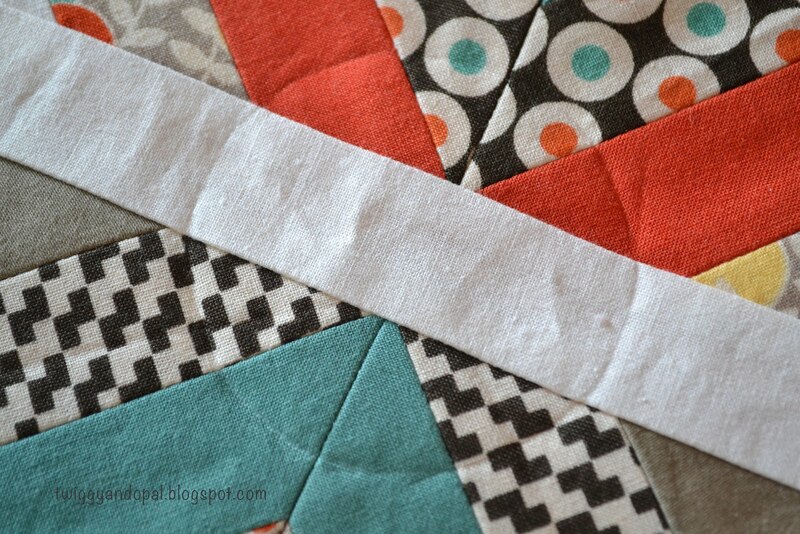 Or, if you have a quilting bar (above) your can use that as your guide to make any width you want. I continue the circles one after the other, staggering my starting and ending points. I have never had issues with puckering going only one way around. Take it slow for the first half a dozen rounds. After that it goes much quicker and it does get easier! You can see I'm not perfect!! And I'm alright with that! There are a few bumps and ends didn't line up...but really...we all know that washing/drying will take care of that! Continue working around and around and around...you get the idea! You can change up the thread color for something different too! I work my way around the quilt in circles until I hit an edge. At that point I will keep with the same method and work half circles that eventually lead to quarter circles in the corners. I've come to love doing concentric circle quilting and it works so well with many different projects. I am mesmerized with the results and can't lie...it's hypnotizing! Oh, and it might be addicting! Thank you for the tutorial Jayne ! I've never been able to pull the bobbin thread up to the top so far ... Though I don't know if it's not possible with my sewing machine or if the problem is me :-)) I really have to sort out that ! Sophie, on my machine (a Janome) I must have the presser foot down in order to pull up my bobbin thread. Maybe yours is the same? I hope it helps for those who want to try but haven’t a clue where or how to start! 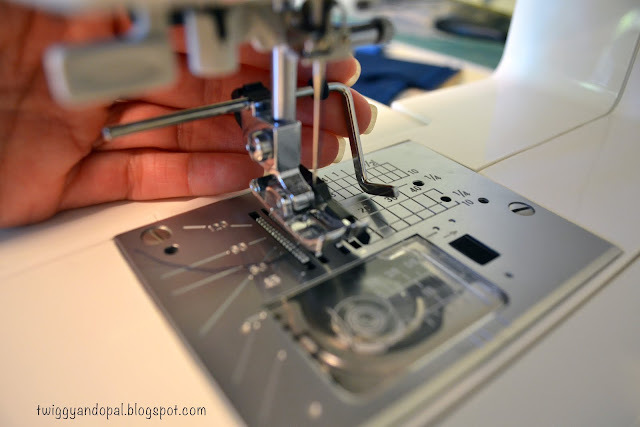 Bernie is right, you need your presser foot down to put the bobbin thread up. 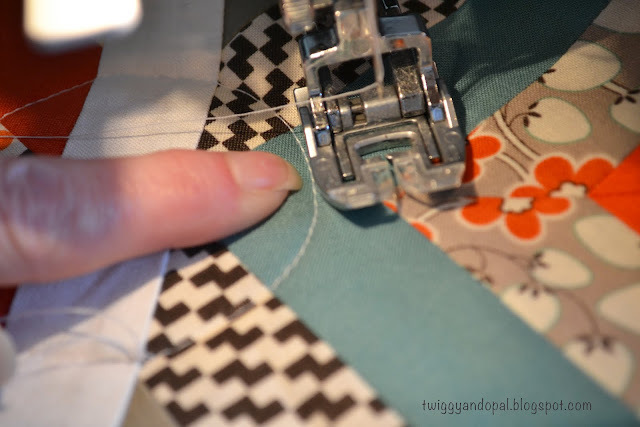 I hold onto the top thread, needle down then up and pull the bottom thread up by pulling on the top thread…if that makes sense! Thanks for this tutorial! 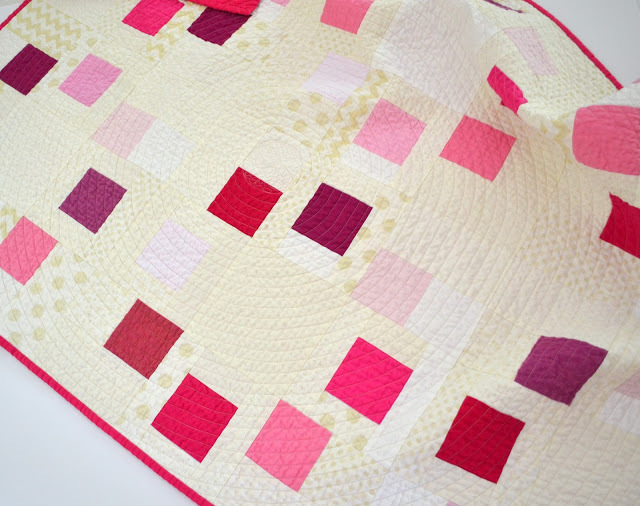 I will try this on my next small quilt for hospitalized children. I think it looks great! I try to go slow for the first half a dozen rounds, after that it goes much faster and I can speed up! Believe me…I have some bumps along the way on mine and I’m not afraid to say…it doesn’t matter to me! I still get the effect I’m after! 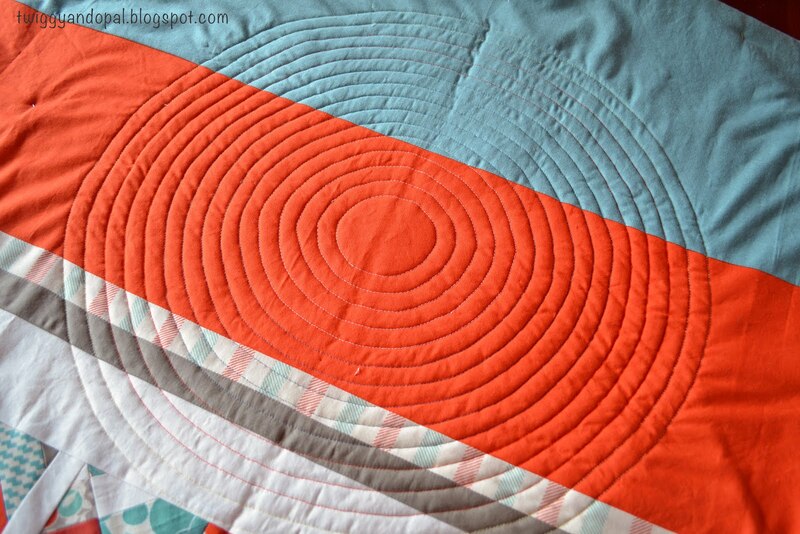 Oh I love concentric circle quilting, even though it may take a while, it's always so worth it! Great tutorial, and great pics! You are so right about slow and steady and a big dose of patience! Thanks for the tutorial! The more you do it, the easier it becomes. For me it helps a lot using the side of my foot as a guide! Thank you for the tutorial. Love your quilts! Very nice explanation Jayne. Thanks for taking the time to write it up. 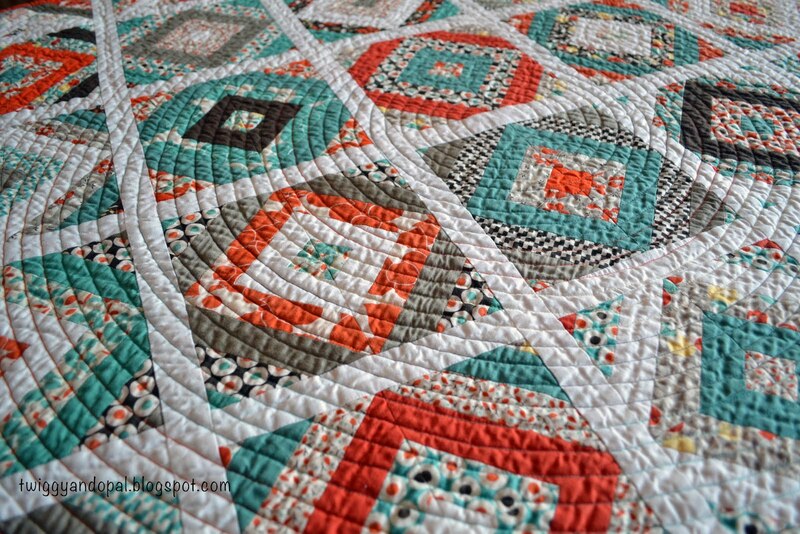 I love the look of this style of quilting! Great tutorial. This is a great tutorial and I especially appreciate all the examples you show and your wise advice and honesty that it isn't all perfect but the end result is stunning. I hope you consider linking up to Tips and Tutorials Tuesday when it opens on April 25th. 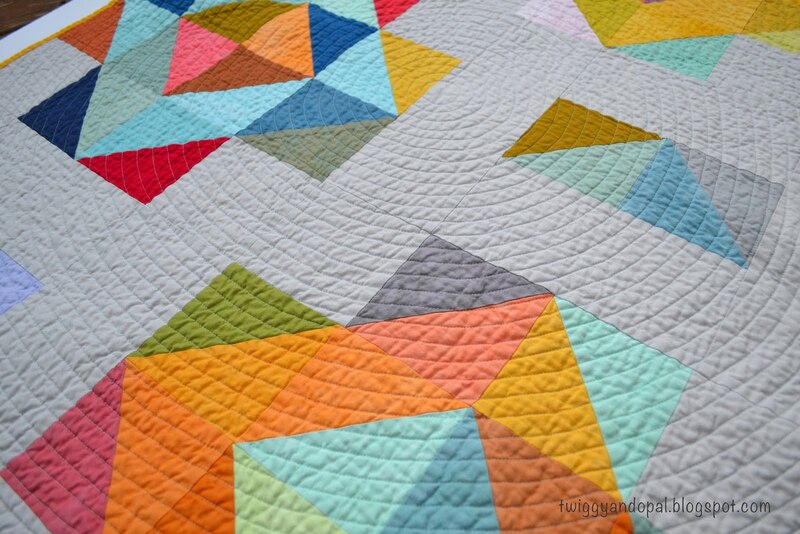 Not every quilting finish comes out perfect. I think we sometimes gloss over the trouble we have along the way, but it’s real and can happen! There are times when good enough is just that! Thankfully washing and drying takes came of most of that! Thank you so much for linking up with the Tips and Tutorials Festival! This is perfect for the quilting category. Great tutorial Jayne. I love how this quilting looks on quilts. 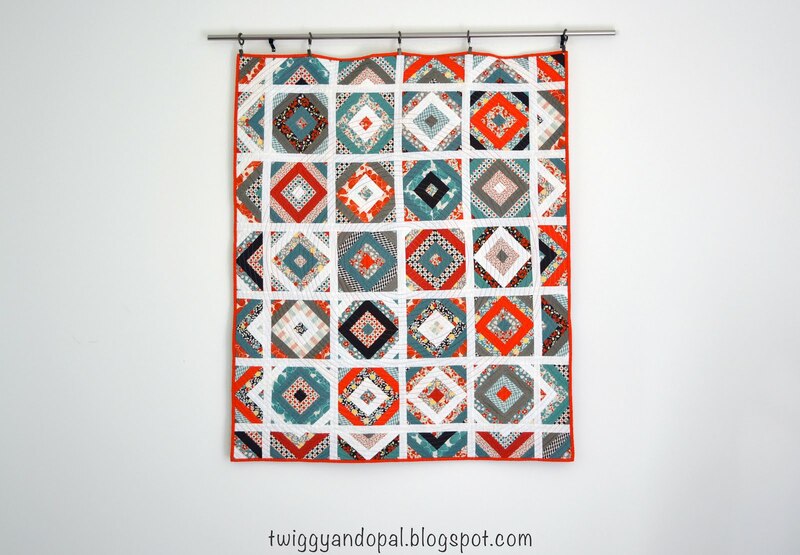 I will have to give it a try in a small project I decide not to load on my longarm. Thanks for sharing! Truth time: I love burying threads! I love having a hand project for the evenings, plus there’s something about the ‘pop’ of the knot and the thread nest getting cleaned up! 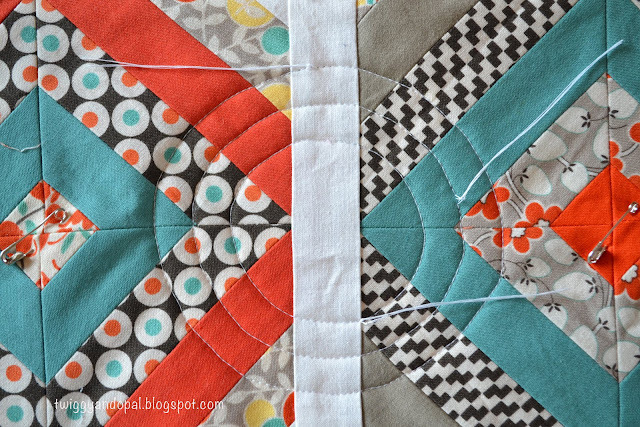 I have never tried spiral quilting. It certainly gives you the same effect and no thread burying! I need to try it! Thanks for this great tutorial. I will have to use it for my circle quilt project! Thank you so much Jayne for helping us along. Haven't done it yet but it is a "must" on my to-do list! Thanks for sharing.